Seth Rogovoy is a writer, editor, award-winning critic, book author, lecturer, teacher, musician, radio commentator, talent buyer’s agent, cultural programmer, marketing consultant, innkeeper, and amateur photographer. Seth is the author of Bob Dylan: Prophet Mystic Poet (Scribner, 2009) a full-length analysis of Bob Dylan’s life and work – the first and only one from the Jewish perspective, examining the role and influence of Judaism on Bob Dylan’s life and work. Seth is also the author of The Essential Klezmer: A Music Lover’s Guide to Jewish Roots and Soul Music (Algonquin Books, 2000), the all-time bestselling guide to klezmer music. Seth frequently writes about Jewish arts and culture for publications including Forward, Tablet, Pakn Treger, Hadassah Magazine, and the Berkshire Jewish Voice. Seth writes, teaches, and lectures extensively about klezmer and Bob Dylan. 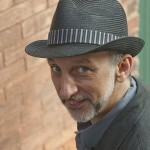 His live, one-man, multimedia programs about klezmer – Rockin’ the Shtetl – and Bob Dylan – The Kabbalah of Bob Dylan – have been presented at universities, JCCs, museums, cultural centers, and synagogues across the U.S. and in England, where he has been an invited presenter at the renowned Limmud Conference three times. Seth has taught a variety of college-level and adult-ed courses on klezmer, Jewish music, and Bob Dylan, about whom he has written extensively. Seth is editor and publisher of The Rogovoy Report – an online magazine of cultural and critical news and observations — and BerkshireDaily – a five-day a week e-newsletter aggregating news, features, and commentary from around the corner and around the globe. Seth also does cultural, editorial and marketing consulting. He is the programming consultant for the Yiddish Book Center in Amherst, Mass., currently booking the center’s 2013 performing arts series, including the second annual YIDSTOCK: Festival of New Yiddish Music, which debuted in 2012 under Seth’s direction. Seth’s weekly cultural commentary can be heard on WAMC Northeast Public Radio Network on Midday Magazine on Fridays between 12:30 and 1 p.m., and he is the official film blogger for the Triplex Cinema in Great Barrington. Seth was editor-in-chief of the now-defunct Berkshire Living, a perennially award-winning regional lifestyle and culture magazine that served the greater Berkshire region of western Massachusetts, southwestern Vermont, eastern New York, and northwestern Connecticut faithfully for six years. He was also editor-in-chief of Berkshire Living‘s spinoff publications, including BBQ: Berkshire Business Quarterly and Berkshire Living Home+Garden, as well as Berkshire Living’s online platforms and social media feeds. Seth’s regular column of music and cultural criticism, “The Beat Goes On,” that ran in every issue of Berkshire Living, garnered him four consecutive awards from the National City and Regional Magazine Association for General Criticism. For over twenty years, Seth has been a rock and jazz critic, primarily for Berkshire Living and the Berkshire Eagle, and also for dozens of other newspapers and magazines. Seth’s cultural journalism has appeared in newspapers and magazines including Newsday, the Boston Phoenix, Haaretz, the Woodstock (N.Y.) Times, the Bennington (Vt.) Banner, Edutopia, Gastronomica, Moment, Leak CD Magazine, Audition, the Black and White City Paper of Birmingham, Ala., and others. Seth is also a singer-guitarist and leader of several bands, including the Rolling Rogovoy Revue and Seth Rogovoy and the Grove Street Band. He has performed at Club Helsinki in Hudson, N.Y., and Great Barrington, Mass. ; at the Cavern Club in Liverpool, England; and at Bob Dylan tribute concerts throughout the Northeast United States. Seth is an amateur photographer. His photos have been published in the Albany Times Union, Berkshire Living, and all over Facebook. He is also a devoted practitioner of Ashtanga Yoga. Seth served two terms as a member of the Board of Selectmen in Pownal, Vt., and is a past president of a food co-op and a Community Supported Agriculture (CSA) farm in Williamstown, Mass. Seth was the founder and lay leader of the South Berkshire Minyan, a traditional Jewish prayer group, based at a shtibl in Great Barrington, Mass., from 2003 to 2006. A graduate of Williams College in Williamstown, Mass., where he has taught courses on Bob Dylan and klezmer, Seth lives in Hudson, N.Y., and Great Barrington, Mass.